I can relate to a lot of posts I read here. I had hoped to get 30 years in with my employer so that I could retire with full benefits but was down-sized after 25 years. With it being only a partial income with regards what we expected to receive, I secured another job at two-thirds my former salary. That lasted nine months and they down-sized me as well. We took it as a sign and figured God must be telling us something. So, we retired. Doing so enabled my wife to spend three good years with her mother before she passed. Neither of us ever had time to build or become passionate about any particular hobbies and so we weren't sure what we were going to do to stay active. Fixing things up around the house or doing something for the children took up some of the time. But our children are scattered across the country and so it wasn't as though we could just pop down the street for a cup of coffee and fix a clogged drain every now and then. Fortunately we have never looked back nor regretted retiring early. Then something happened that made me, personally, want to crawl in a hole and withdraw from the outside world. 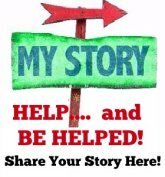 I experienced three surgeries within five months with the last surgery changing my life forever. I had one very rough year after the last surgery and actually wanted to call it quits and do nothing but watch TV or sit at the computer and that was on my best days. However, part of my recuperation therapy was exercise. Eventually walking the house became so boring and repetitious that therapy was even driving me up a wall. So, my wife, bless her heart, who had taken up line dancing just to get away from me for a while so that she wouldn't lose her sanity, suggested I join her in her line dance practice. Line dancing would be just as effective as walking. That was back in 2004 and we are still dancing to this day. And for those of you who are feeling sorry for yourselves, because you have nothing to do with your time now that you are retired (and I am not saying this to say it doesn't happen) take a trip to a VA hospital, retirement home, or assisted living facility. See how other people - some our age, some younger - some older - live. While it is true, quite a few are still active (as active as one might be depending upon the facility) but others just sit around all day doing nothing. For them, they have nothing better to do with their time. We visit such places and line dance for these people because they aren't physically fit or financially able to go out and enjoy some type of entertainment. After performing for them, we move throughout the audience just shaking their hand and talking with them. It is such a rewarding experience. For one, it takes our minds off of our everyday lives and problems whatever they might be. It also makes our "life's problems" seem so insignificant when stacked up to what some of these people must face each and every day they wake up. These trips and performances serve as our way of giving back and at the same time make us so thankful that we are still able to do it. Our ages range from a young 60 to some pushing 80. Retirement is what you make of it. Will things be the same as they were? Probably not. Will they be better? That depends on us. All it takes is will power and the desire not to quit. Sit back and feel sorry for yourself or look upon retirement as just another challenge in what to this point has probably been a very fulfilling life. You would be amazed at the rejuvenation one feels when bringing a smile to someone's face that you know deep down in your heart, has in fact reached a point in their lives where they cannot do what they would like to do anymore and are in fact - stuck! But, let me add this other caveat - many of them, while stuck as I put it (its late and I cannot think of the words I would like to say) are so thankful to see us and enjoy the entertainment we bring them, that they smile and ask - how soon we will be back. Our dancing and performing for them has just given them another lease on life, so to speak, and they cannot wait until the next time we show up to bring smiles to their faces. 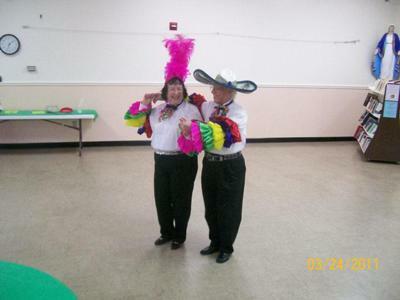 So, while I am not saying line dancing is for everyone facing the dilemma of what to do in their retirement years, there is something out there for each and every person entering this phase of your life. And whether we want to admit it or not, it may be the last chapters of our lives assuming that our health stays good, so why not find something we enjoy and spend these last chapters having fun thus going out with a bang! I know that is what we hope to do. "Smile - Life is too short not to dance!" Or my latest favorite saying is one taken from Star Wars - The Empire Strikes Back - Yoda - "Do or do not....There is no try!" Wendy: Kudos to you both, Irwin, for entertaining the seniors! When my grandfather was in an Assisted Living facility, I often visited when they had entertainment of all sorts, and can truly say that those living there, truly enjoyed the FUN!